Vote Mad Hatter: What kind of MP would Mad Hatter be? It's alleged that if a Monster Raving Loony candidate ever actually secured the 5% plus of votes cast, then although s/he'd get the £500 electoral nomination fee back, the party might have to ask such a candidate to disband from the OMRLP for having defeated the aim of being a distraction. 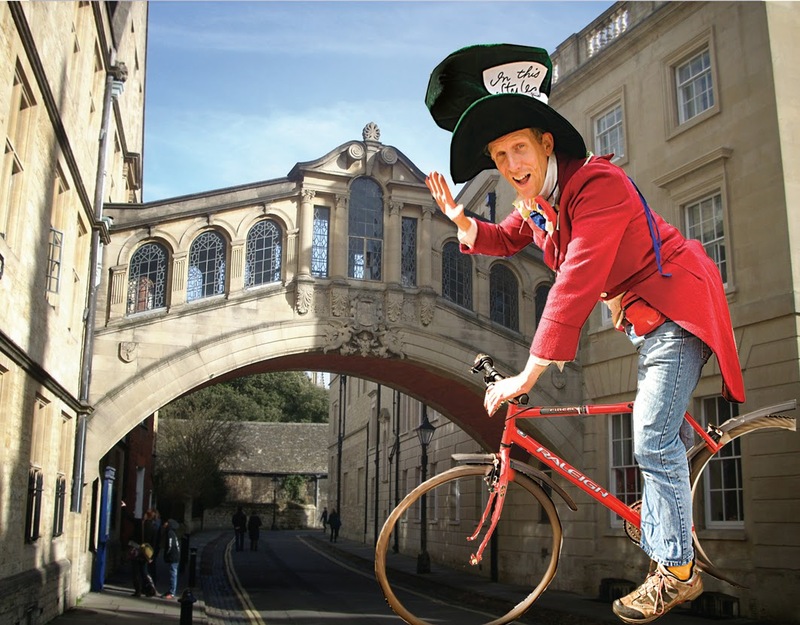 In any case though, in the highly unlikely circumstances that Oxford really did elect Mad Hatter to Parliament, what sort of alliances would this candidate make and what are his political guiding values outside of the OMRLP campaign? For me, the election campaigns are as much about using satire to highlight and engage voters to diverse issues, as they are about my very real frustration with the established parties that can form governments in the UK (I am a Scot, so note the absence of my mentioning Holyrood here) without actually representing very democratically the first choice party of all of the electorate. I have lots of confidence in Scottish politics, as the Scottish parliament uses proportional representation, which means that the wider range of political views can be represented much more accurately in whom is elected to the Scottish parliament. Scotland is also miles ahead of England in how the public have high expectations of their elected representatives and in terms of being fortunate enough to have many MSPs who do stand up to fight for greater social equality. When I look at politics at Westminster level with its out of date unelected House of Lords and its risible two party system using first past the post plus when I look at the track record of Westminster governments (and their supposed oppositions) repeatedly making what I see as very poor choices, I find myself despairing at them. When it comes to my local Oxford city council, they are no better- in fact, it was my complaints about massive conflicts of interest of my local council, which originally got the idea into my head, why not stand as a candidate in elections to name ans shame them, while also having a bit of fun and publicity about issues which I do feel strongly about...plus I figured it could serve as some good publicity for myself as a local tour operator & entertainer. Many young people and older people too, just don't vote yet complain that, 'the parties are all the same anyway and only in it for themselves'- I completely disagree with such statements but I understand the cynicism expressed too, as Westminster first past the post electoral system is a most unfair way to decide who sits in the House of Parliament. If anyone says to me that, 'You're just wasting a vote by voting Loony', my response is, 'At least you've voted- the only vote that's wasted, is a vote that's not cast at all.' I think there are clear choices between some parties but I also think the electorate deserve major reform of the electoral system, so that actual share of votes to parties is far more representative than we get now. Plus I think that in the absence of obligatory voting with a choice on ballot box of <no confidence in any of the above parties>, the choice of voting for an official Loony, has its relevance.